Spring is finally here, and it’s time to start planning a stylish wardrobe for the hotter days to come. To help inspire you, we’ve pulled together an edit of all hottest new trends for this Summer. Plus, don’t forget – when you shop online for all your seasonal fashion via easyfundraising, you’ll be raising donations for your good cause too. While it goes without saying that denim is a key element of most wardrobes, it’s set to be huge this summer. Layer denim on denim or add denim accessories – the world’s your oyster! 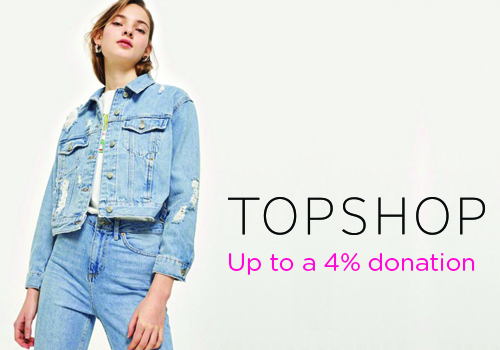 Head straight over to Topshop (up to a 4% donation) for a huge range of styles and washes to suit all tastes and budgets. This summer is all about sherbet tones – and what could be more delicious? If you’re feeling brave, go for pastels from head to toe, or accent with a pretty cardigan or belt in baby blue or pink to rock the trend without going the whole hog. 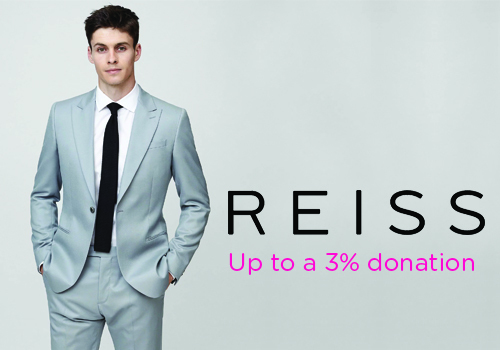 Find sweet separates at Very (up to a 3.5% donation) or Uniqlo (up to a 0.5% donation). Pastels aside, there’s one bold colour that is making a real splash this season and that’s yellow. You might be surprised to hear that yellow tones really do suit all skin tones, so grab a statement dress in a canary shade, or a cool pair of banana-yellow cropped trousers. 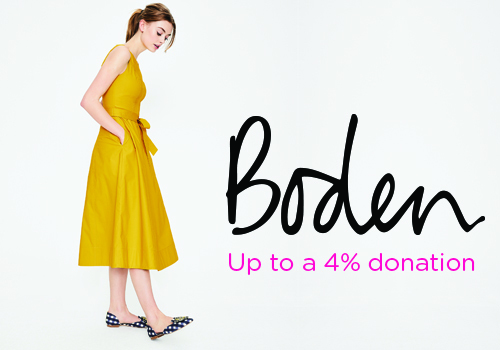 Boden (up to a 4% donation) are renowned for their love of summer brights, or try boohoo (up 2% a donation). Burberry-inspired checks are absolutely dominating the high street, and for good reason. Whether you’re going super smart or dressed down casual, a well-chosen check adds an air of relaxed sophistication. Try John Lewis (up to a 1.5% donation) or Debenhams (up to a 2.5% donation) for light tweeds perfect to see you through the season. A UK summer will generally involve a rain shower or three, so be prepared and invest in the perfect trench. This is a wardrobe staple that can be worn in so many ways – oversized, belted in – it’s a look you really can make your own. Asos (up to a 3% donation) has a decent range, or try Hobbs (up to a 6% donation). If work requires you to be super smart, you’ll know how crucial it is to find a well-cut light summer suit that also ticks all the style boxes. For a dash of French chic, explore the options on offer at La Redoute (up to a 5% donation), or invest in a timeless classic at Reiss (up to a 3% donation). Statement bags are big this Summer, with the ‘belt bag’ really standing out from the crowd. Cute and practical, this is a trend that seems likely to run and run. If you like to cart a bit more of your life around with you, upgrade to a cross-body design in soft leather. Head over to Bags Etc (up to a 5% donation) for inspiration. No summer outfit is complete without the perfect pair of shades. Try the Sunglasses shop (up to a 5% donation) or Red Hot Sunglasses (up to a 1% donation) for statement sunnies to complement your look. You might be surprised to learn that 80s fashion is undergoing somewhat of a revival in terms of male fashion. Pastel shades (à la Miami Vice!) and stone washed jeans were all seen on the catwalk this year, and, when mixed and matched with more classic pieces, it’s a look that really can work. Topman (up to a 0.5% donation) and Ted Baker (up to a 1% donation) are both embracing this trend. As the mercury rises, many kids will find that last year’s clothes simply don’t fit anymore. Teens will appreciate a wardrobe comprised of separates from Jack Wills (up to a 3% donation) or the North Face (up to a 2.5% donation). Tweens go wild for anything from Superdry (up to a 2% donation), while children will look super sweet in Baby Gap (up to a 3.5% donation) or The Little White Company (up to a 2.5% donation). Whether you love a strappy summer sandal or a practical Birkenstock, shopping for new summer shoes is a must. Try Clarks (up to a 5% donation), Office (up to a 1.5% donation), or Schuh (up to a 3% donation) for sassy styles to complete your look.